The Boston Globe reports that the National Weather Service has “high confidence” that the eastern coast of Massachusetts is going to experience “moderate to major flooding.” It has “moderate confidence” that heavy rains of two to three inches could cause urban and street flooding throughout southeastern Massachusetts, including Boston. A team of researchers led by PhD student Oliver Wing of the University of Bristol in the UK set about to do the first high-resolution, national-level assessment of flood risk in the US. Why don’t we already have one? Well, the Federal Emergency Management Agency maintains the official maps of flood risk that inform programs like federal flood insurance. But FEMA maps are an aggregation of local maps “of varying age and levels of quality,” the researchers write, which share “notably poor coverage of smaller catchments,” i.e., smaller streams, which are often near residential areas. 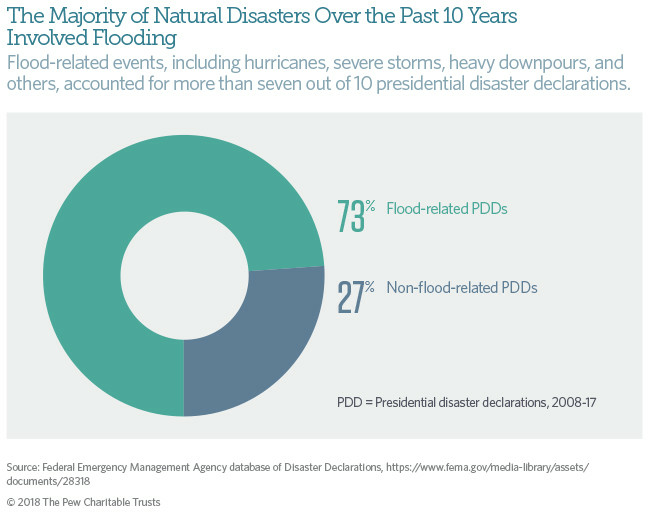 Flooding is by far the most common reason for presidential declarations of disaster. 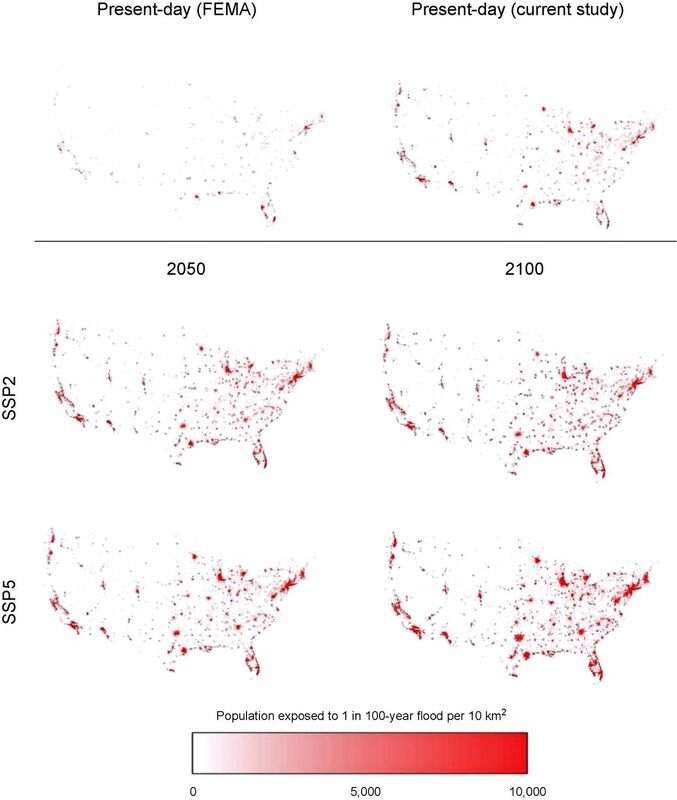 The analysis shows that 40.8 million people (13.3% of the population) are currently exposed to a 1 in 100 year (1% annual exceedance probability) fluvial or pluvial flood in the [conterminous United States], which translates to a GDP exposure of $2.9 trillion (15.3% of total GDP). The researchers also run a few projection scenarios with different rates of population and economic growth. They estimate that by 2100, more than 16 percent of Americans — around 75 million people — along with $10 trillion in assets will be located in flood plains. The graphic below shows where that risk will be concentrated (“SSP2” is a moderate growth scenario, while “SSP5” is a high-growth scenario). To be clear, Wing’s analysis has nothing to do with climate change; that’s not why he’s raising the estimate of risk. All the researchers did is (literally) look more closely at the landscape and find a bunch of stuff previous flood maps missed. It’s a correction based on a level of detail in spatial and data analysis that has only recently become possible. And the future projections of risk are not premised on climate change either. Right now, they write, “there is not yet compelling evidence of a climate change signal” in freshwater flooding losses, research on how climate change might affect it has been inconclusive, and the IPCC has “low confidence” in its projection of flood risk effects. Meanwhile, the overwhelming determinants of flood risk — population and economic development (i.e., how many buildings, roads, and factories are built in risky areas) — are clear, so Wing’s analysis is based on those figures. The paper focuses on freshwater flooding (heavy rain-induced, basically) rather than coastal inundation from rising sea levels. There is evidence suggesting that the latter is going to be a serious climate-driven problem this century, but that’s for another analysis. What Wing’s analysis shows that that the baseline of US flood risk from heavy rainstorms is much higher than we thought. 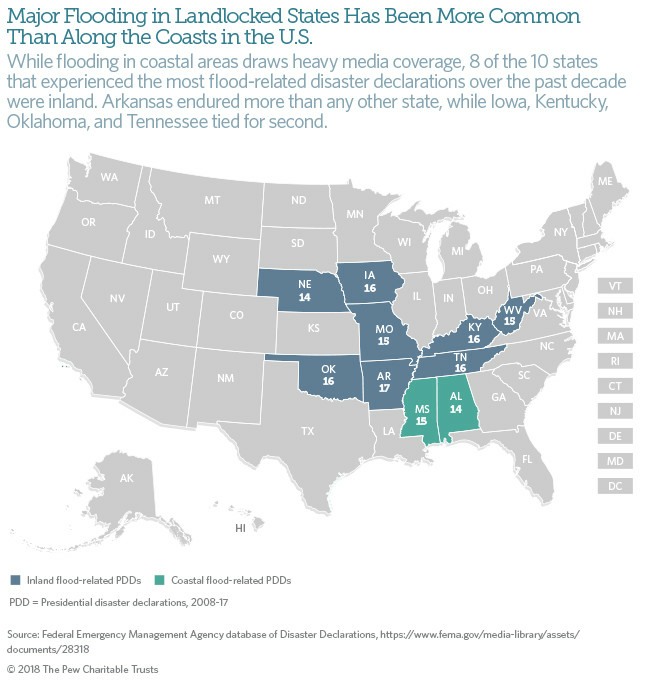 Inland states are not safe from flooding. And that risk is rising, irrespective of climate change. We are moving to flood plains at an increasing rate — not only that, but “more frequently inundated areas are experiencing faster population growth than less frequently inundated ones.” We’re literally concentrating ourselves in the riskiest areas, putting more and more lives and assets on the line. 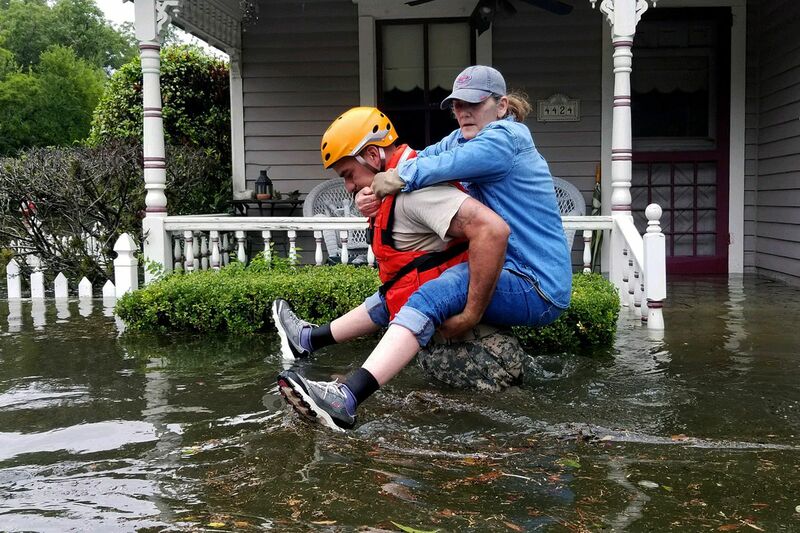 If climate change is an accelerant of flooding, as many scientists expect, it will only make that already dubious decision look worse. In the meantime, all you Bostonians, try to stay dry! And don’t forget that a little flood water carries a lot of power. A dangerous nor’easter storm could bring record floods to Boston. Here’s how they work. Spring has arrived early for much of the US. It’s gorgeous — and concerning.